The most mischievous characters to ever come out of Disney studios, Chip ‘N’ Dale are cute, cuddly and always in the centre of trouble. Here is a special collection of their adventures that will have you and your family laughing again and again. Donald Duck goes nuts when he finds himself “Out On A Limb” as he tries to prune Chip ‘N’ Dale’s tree home! In “Corn Chips”, Donald convinces them to shovel his snowy sidewalk but ends up shoveling popcorn! 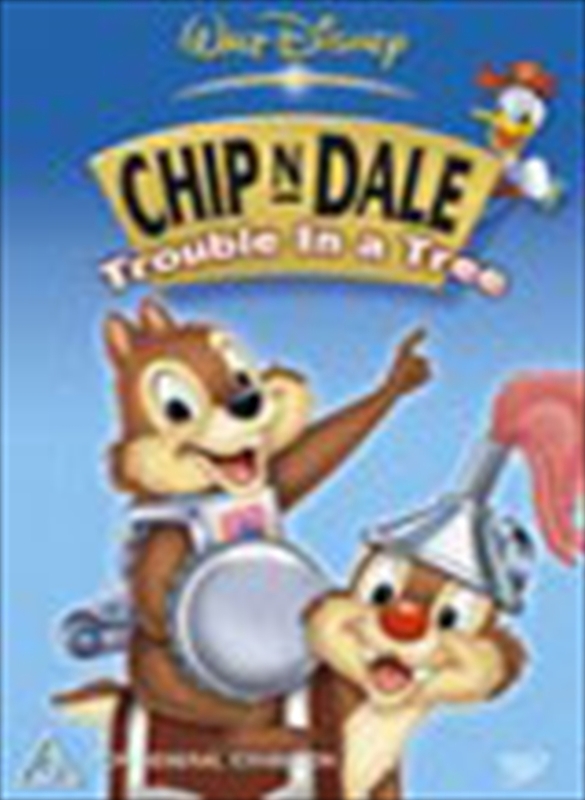 Next, it’s the holidays and Chip ‘N’ Dale fight with Donald over the goodies under his tree in “Toy Tinkers”. Guess who invites themselves over for Donald’s pancakes in “Three For Breakfast”?